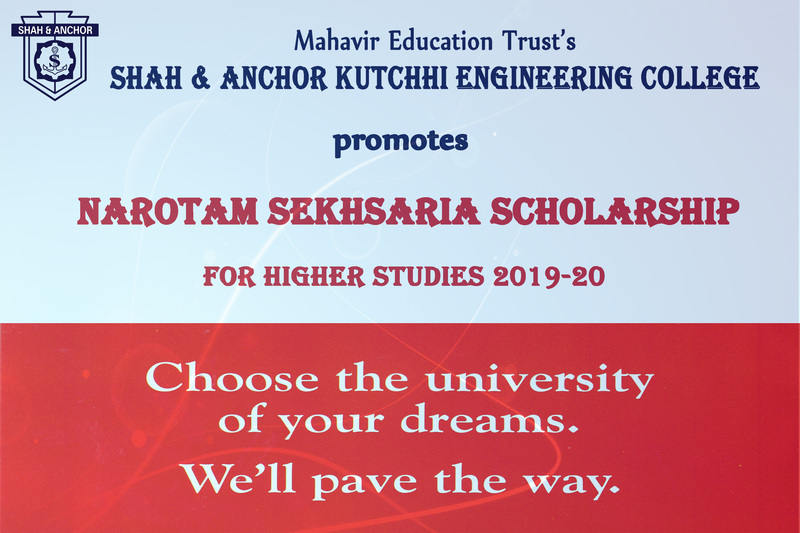 Event Shah & Anchor Kutchhi Engineering College promotes Narotam Sekhsaria Scholarship Programme. Designed for the brightest minds who wish to pursue their postgraduate studies in India and Abroad. Selected students to be awarded a scholarship amount of up to Rs. 20 Lakhs as per the assessment of the Foundation. A unique mentoring programme designed for the awardees for nurturing and assisting them in achieving their desired goals. Application Date: Opening Date: January 02, 2019. 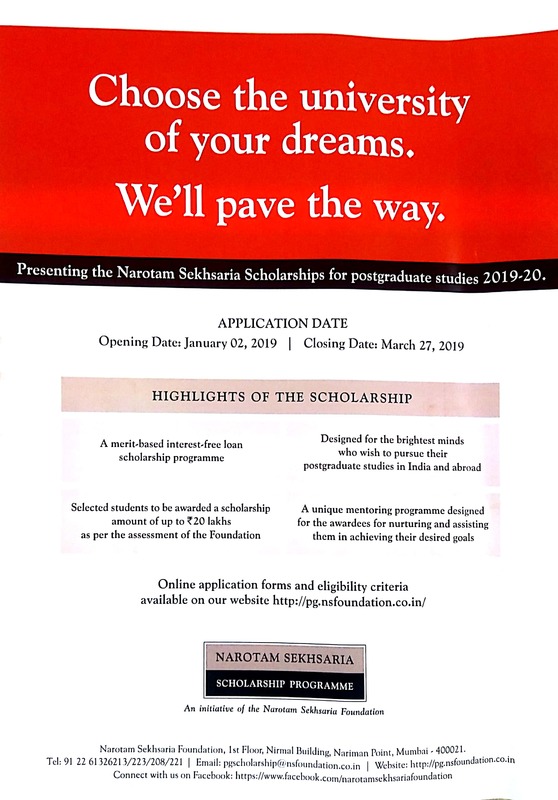 Closing Date: March 27, 2019. Graduates of a recognised university (students in the final year of a degree course and those awaiting their results are also eligible to apply). Students having sought admission for a postgraduate degree programme at any prestigious university for the fall intake(Those who are awaiting a decision from a university are also eligible to apply. However, the award of the scholarship is subject to them securing admission). For shortlisted candidates, it is mandatory for Indian nationals residing in India to attend a face to face interview. Poster Click here to download. 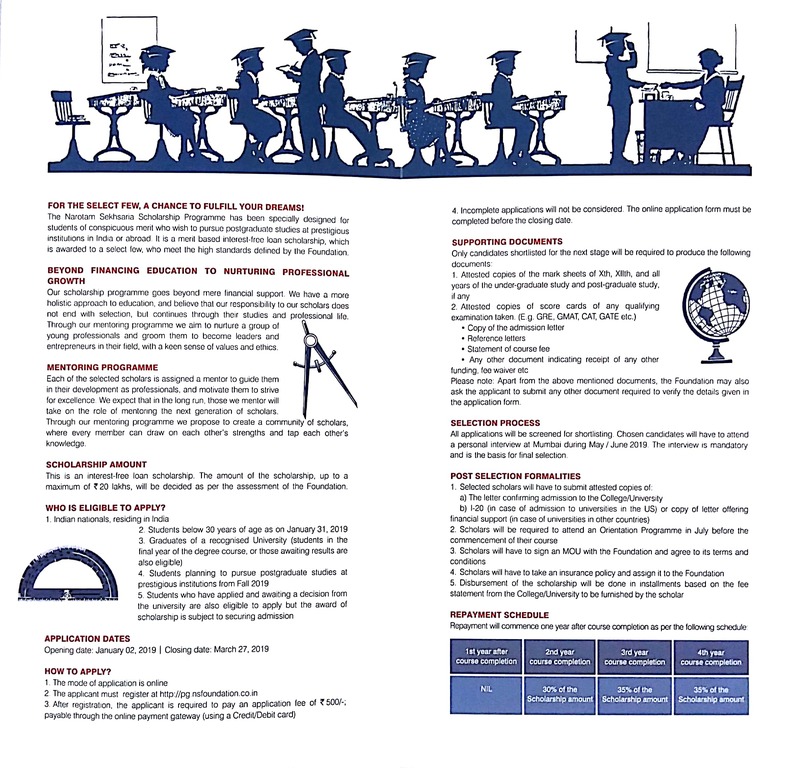 Brochure Click here to download.